Just when it looked like Apple was going to innovate something new and exciting, they jumped into the curved glass screen market. Samsung made the biggest waves with their curved glass screens like we saw in the Galaxy Edge series of phones. According to an article on Macrumors.com, it looks like the 2017 iPhone is going to more closely resemble the iPhone 4 generation of phones. KGI Securities Analyst Ming-Chi Kuo reports that Apple is “Seeking to move away from the metal casing designs that are no longer unique, Apple will reportedly take the glass-backed design used for the iPhone 4 and 4s ‘to the next level’ in building the 2017 iPhone.” A curved screen would dramatically affect the way companies perform iPhone repair in Hoffman Estates. 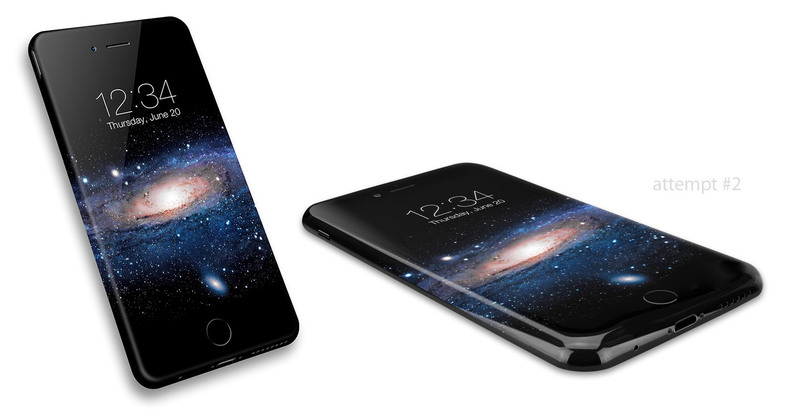 Larger or smaller than the iPhone 6? The new 2017 iPhone is supposed to be smaller than an iPhone 6+ but larger in screen diameter than the iPhone 6. The iPhone 6 regular version is currently equipped with a 4.7″ screen as opposed to the new 5.8″ curved screen. The 2017 iPhone screen is also supposed to absorb the full surface of the phone and feature an AMOLED display. We wrote an article about Apple & Samsung‘s contracting of OLED screens over the next 6 years detailing that OLED would be the future of screen technology for both company’s for the foreseeable future. So what does the future of repairing iPhones in Schaumburg and the Northwest Suburbs? As with each iPhone release, we’ll be digging inside to see what the new iPhone is made of. This 2017 phone is still under development and hasn’t gone into production yet so far as we can tell. That time will come deeper into summer when we’ll also have a better understanding of what new technologies can be expected from the new iPhone. Right now we know that the new iPhone is probably going to do away with the 3.5mm headphone jack, the screen is curved, and the new iPhone will have wireless charging capability built-in. billige fodboldtrøjer - billige fodboldtrøjer Sustain the spectacular job !! Lovin' it!